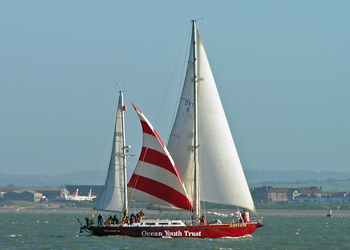 The 2013 ASTO Solent race will be on Saturday 5 October. PREVIOUS RACES: see here for recent reports. See here for race report. A day of strong but irregular winds forcing endless reefs in and out. John Laing, with a crew from Budmouth Technology College, came 8th over the line but only 21st on handicap. But crew member Rosie, aged 13, did win the prize for the youngest female crew member in the race! Sadly in light winds John Laing was unable to make a successful defence of her trophy won the previous June. John Laing came first over the line and, on handicap, first in class and third overall! 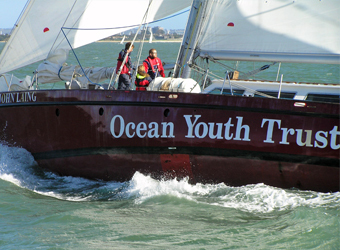 ASTO (the Association of Sea Training Organisations) Small Ships races are for sail training vessels up to 120 feet in length, with crews of young people aged 25 or under. How to book a voyage - including booking forms.